Right, so even if the player knows exactly what play to call, they still have to sit and wait for the game to cycle through each of them, which is really irritating. Each play is selected for one second, meaning the play selection process takes a fixed eight seconds, every time. I’d be curious to see the math on this, but I’m guessing the average time spent in actual game play is less than eight seconds per down. And that’s not counting the four seconds spent before play-calling starts, with an unskippable screen showing the current score and down. That’s a total of 12 seconds the player has to wait between actual gameplay. On paper that might not sound like much, but let me tell you what it is torture if you try to finish a game of this today. The only possible “advantage” of this is that in a two-player game, the players can try to fake out their opponent by pressing the other button, which doesn’t do anything. Indeed, there’s no game which taught me more about making the Sega Master System controller as quiet as possible. 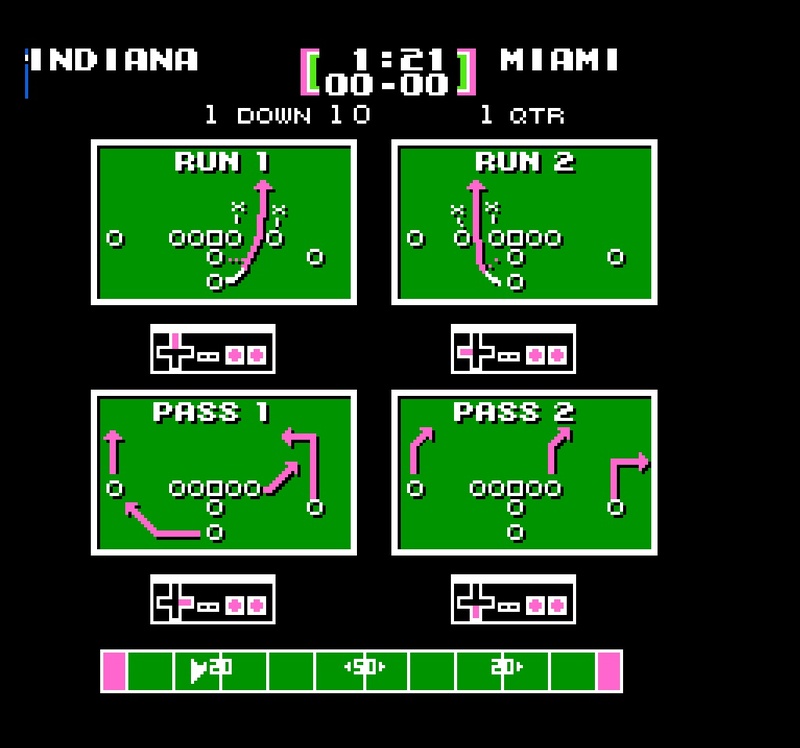 The playcalling system in the NES’s Tecmo Bowl was vastly superior when it was released in 1989, giving direct access to plays with a D-pad and button combination. 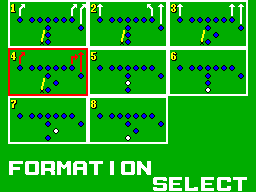 Sure, it was only four plays (eight in 1991’s Tecmo Super Bowl), but the eight plays in Great Football don’t offer as much variety as you might hope. By all accounts, Great Football wasn’t a great game. I’m not sure why the developers chose to implement playcalling the way they did – technical limitations? Building suspense? Design by committee? Maybe it just wasn’t annoying in the 80’s? But I’m sure glad we have moved on from that. What other “design patterns” from the 8-bit era are really terrible in retrospect? Or, can you think of any games today that force the player to spend more time in menus than actually playing the game? Let’s discuss in the comments! 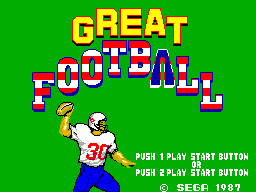 This entry was posted in Console, Retro, Sports and tagged football, master system, retro, sms, ui, usability, usability in gaming, ux by mark d. Bookmark the permalink.